A year after winning the event, David Perel has won for second time – this time as part of Rinaldi Racing’s #333 Pro-Am team entry. The result, and how he landed the drive in the first place, is a snapshot of David’s rising career. It started at the Blancpain 6 Hour at Paul Ricard in June this year. Having been passed over for the Pro seat, and after their race was ended by an on-track incident, Michele Rinaldi was approached directly and asked to insert David in the Pro-Am car for the next Blancpain race: the the Total 24 Hours of Spa. The team boss’s response was to issue David with a set of challenges for the next event that, if met, would secure him the seat. 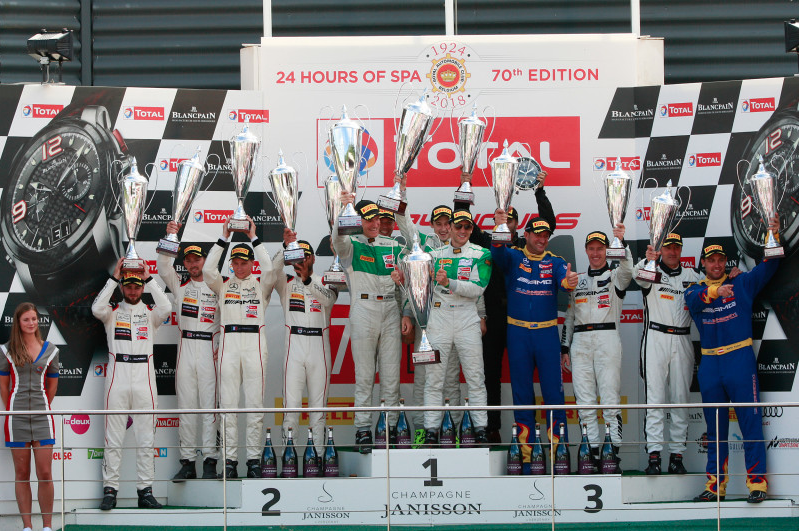 In typical David Perel style, he took to the almost impossible challenge and came out tops: he qualified on the front row (breaking the Spa GT3 Lap Record in the process), lead the race and outpaced his Bronze-ranked teammate by 1.5 seconds. True to his word, Michele Rinaldi confirmed the following week that David would be in the Pro-Am car for the Spa 24 Hour race. The #333 Rinaldi Racing Ferrari was first in class at the checkered flag, after 24 hours of a well-executed strategy and committed, consistently quick driving.